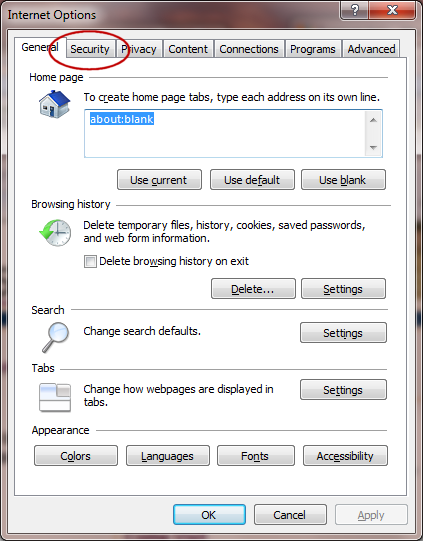 In order for volunteers to login and enter their hours their browser must be set to allow cookies. This holds the session. 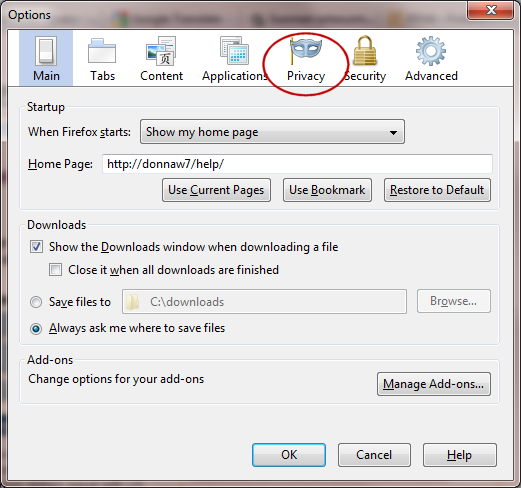 Internet Explorer considers this a Security setting in Internet Options, while Firefox calls it a Privacy setting in Options. 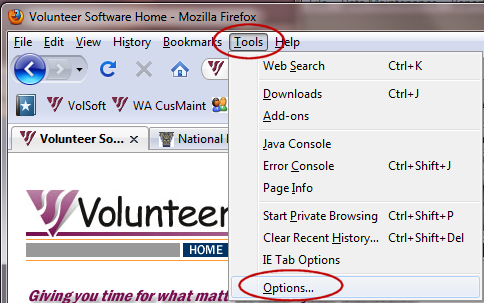 Internet Explorer version 8 accesses the Tools | Internet Options like this. Slide the security level for this zone to the bottom—Medium. OK. 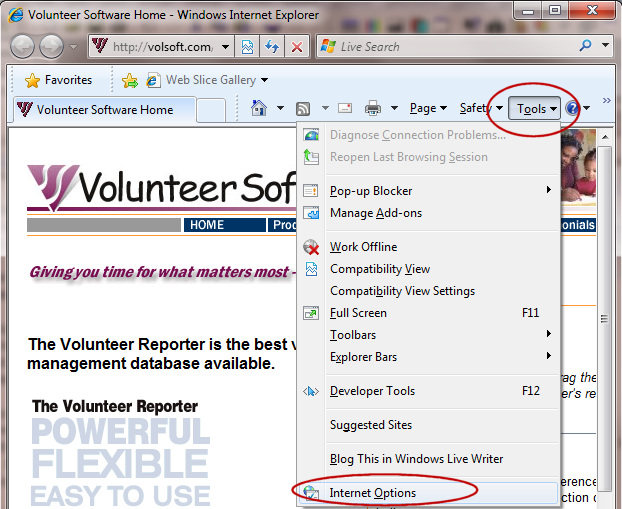 Older versions of Internet Explore look different, but the setting is still found from the Tools menu | Internet Options. The Security tab looks very similar. 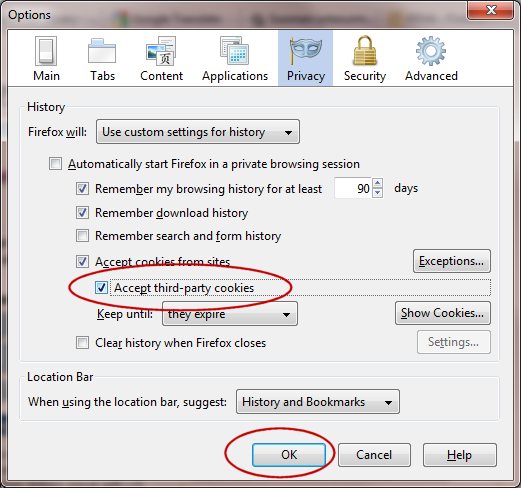 In Mozilla Firefox cookie settings are under the Privacy button. Click on Tools | Options | Privacy. Check the box next to Accept third-party cookies. OK. 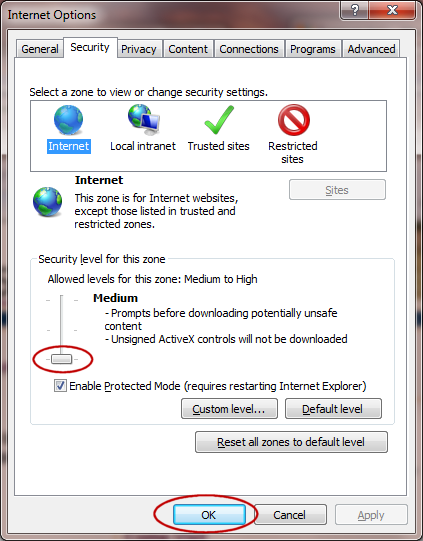 It is unlikely that a home user's firewall will block their browser from accessing the volsoft.com page. In the event that it does, make an exception in Windows Firewall or whatever anti-virus/security firewall software is on that computer.